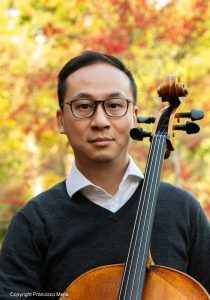 Alvin Wong has appeared as a concerto soloist, recitalist and chamber musician across Asia, Europe, Australasia, and the Americas in venues such as Carnegie Hall, Seoul Arts Center, and Hong Kong Cultural Centre, and in festivals such as Akaroa (New Zealand), Atlantic (Maine), Carvalho (Brazil) and Great Mountains (Korea). An advocate in new music, Alvin premiered concertos and solo works written for him by composers Barry Conyngham, Stuart Greenbaum, James Ogburn, Chen Yi and Angel Lam. He is a featured artist at The Thailand International Composition Festival and Intimacy of Creativity (Hong Kong), and recorded works by Mara Gibson, Claude Baker and Ingram Marshall. Equally passionate about chamber music, Alvin has founded the award-winning Noble Piano Trio (USA) and Ormond String Quartet (Australia). The Australian Music Examination Board (AMEB) offers a progressive, systematic evaluation of musical abilities that allows a large scale study on musical teaching. In collaboration with AMEB, our research team investigates cello teaching and learning in the community as reflected by the AMEB examination system and materials. The pilot study is carried out by reviewing AMEB (Victoria) examination reports anonymously to identify common issues and deficiencies addressed. In this presentation, Dr. Alvin Wong will present findings from this preliminary study. Together with Associate Professor Rob Nairn, they will compare and contrast historical cello and double bass methods focusing on several aspects and how they could be applied in the Australian context.